While this edition of ‘books you should have read by now’ will focus on one book (as usual), it’s still fruitful to speak about the novella in general. A once dying art form, the novella has experienced a resurgence. So there’s no time like the present (or as the concept of ‘books you should have read by now’ suggests, the past) to get your hands on one. 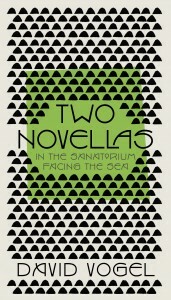 Scribe has published a collection of two novellas written by David Vogel, strangely enough titled Two Novellas. Vogel isn’t a classic twentieth century author in that it’s definitely okay if you haven’t heard of him. Extremely influential in Hebrew literature, the reason why you may not have heard of Vogel is because it has taken almost a century for some of his works to be translated. It’s a real treat to be able to read classic works for the first time without being prejudiced by longstanding ideas about how you should receive it (notwithstanding this review). 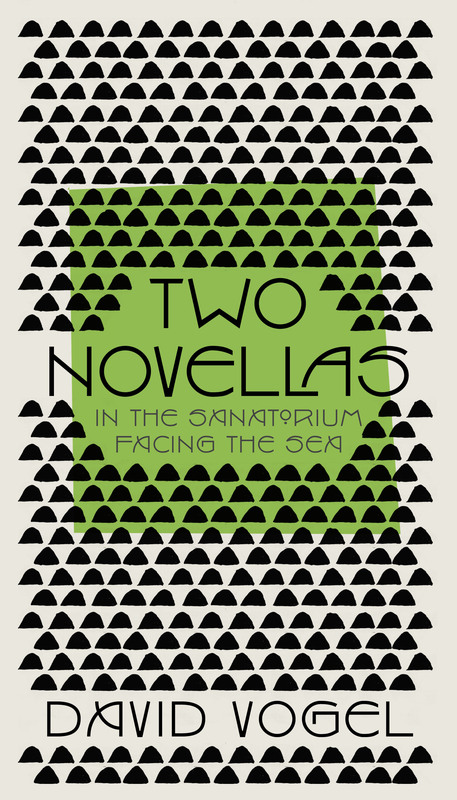 Two Novellas offers “In the Sanatorium” and “Facing the Sea”. The former story takes place in a facility for tuberculosis patients who are quite rationally preoccupied with their lungs. “Facing the Sea” is in quite a different locale altogether, the French Riviera during the summer. The stories are similar in that they have a large number of characters (quite unusual in the novella, which usually focuses on a fairly small cast) and their enticing depiction of small-group psychology where the most subtle of gestures and comments take on prime significance. I mustn’t divert attention away from my lungs… The sick man has no right…to be a burden to others; he doesn’t even have the right to breathe air! Especially the lung patient. He endangers the healthy with every breath; he fills the air with malignant particles…in my opinion they should be destroyed – give them drugs and wipe them out once and for all! At the start of the novella, Ornick refuses to go outside, though gradually he gets braver to the expense of his incessant notions on his body. He is mostly encouraged to take these steps by another patient, a girl he falls in love with. Both comically and tragically, the last of Ornick’s excursions is disastrous. his predicament and the predicament of all these young people, standing and sitting here with flushed faces and inflamed eyes… The patients would spend all day lying down, occasionally going out for walks…and while they were usually exhausted as a result of the sickness itself…they were trapped almost permanently in a state of disquiet, of morbid wakefulness, and it was hard for them to fall asleep at nine-thirty, the prescribed bedtime in the sanatorium. “Facing the Sea” is a counterpoint to “In the Sanatorium” in that, instead of being about people trying to create joy in difficult circumstances, it is about people creating difficult circumstances in the midst of a luxurious summer. This is true in terms of health – two characters become very ill after swimming carelessly in the cold night – as it is true in terms of relationships. The novella is a story of a couple that at first seems close and strong, being challenged by attractive people. Here it’s the atmosphere of desire and the anticipation of eroticism and infidelity that’s interesting – not so much the acts themselves. In the last few decades, novellas have fallen out of favour with publishers because people don’t like to buy thin books, they think it’s not good value. This is a shame because some really great books in literary history are novellas, including titles such as The Great Gatsby, The Metamorphosis, and Of Mice and Men. Scribe resolves the problem to some extent by publishing two novellas in one (very pretty) volume. The real hero of the novellas resurgence, however, is the ebook. Readers can’t see that the book is thin, so considerations concerning value are smashed. The reason why novellas are such a wonderful form is that you can track the full development of a focused story within a single sitting. You delve completely into a world and experience it in its entirety, including its catharsis. It’s one of the most satisfying reading experiences, right through at the clichéd sigh you make at the novella’s close. So please, this Sunday afternoon, pick up a novella – maybe one of Vogel’s, maybe an old classic that’s out of copyright so you can read it for free, or maybe one written recently by a literary newcomer – and spend time in this created world, seeing it through to its gratifying end. Let me know how it goes. Great article Erin. I agree that novellas have a lot to offer and I always encourage people to read different forms of literature. It is a tricky one, as you said, because people don’t seem to think they are as sellable (I know from personal experience trying to get one published!). But the great thing about is a novella is that you can sit down and read one in one go, really living that story. Leah Swann is a contemporary author whose novella is worth checking out. It’s published alongside a bunch of short stories, the collection is called Bearings. This entry was posted in Arts, Books and tagged book review, books, books you should have read by now, david vogel, novella, two novellas. Bookmark the permalink.